This year marked the monumental milestone of the 175th anniversary for Case IH. Jim Walker, Case IH vice president, NAFTA, reflects on the anniversary year and shares a positive outlook for 2018. 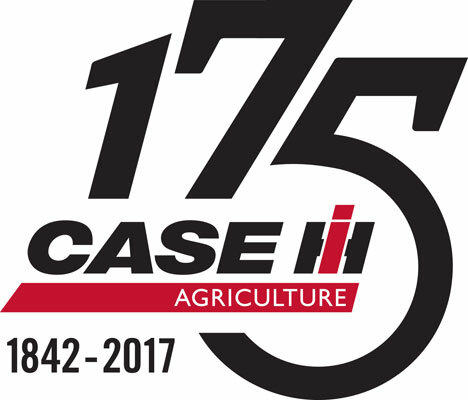 Case IH celebrates its 175th anniversary in 2017. The common themes of innovative engineering, Agronomic Design and Efficient Power still guide the company today. The history of Case IH goes back to 1842 when Jerome Increase Case founded Racine Threshing Machine Works to produce a revolutionary machine to speed up the separation of grain after harvest. This legacy combines with that of other historic agriculture equipment manufacturers to make the company Case IH is today. “Over time, our company grew, diversified and acquired different businesses. Throughout this rich history, there continue to be three principles — innovative engineering, Agronomic Design and Efficient Power — that guide us in everything we do,” Walker said. These principles have delivered the iconic equipment used on farms throughout the world, such as Farmall, Maxxum, Magnum and Steiger series tractors; Early Riser planters, Patriot series sprayers and Axial-Flow combines. According to a 2017 Farm Equipment study, Case IH was voted the most loyal brand in the agriculture equipment industry. Case IH brand loyalty increased from 77% when the study was conducted in 2014 to 80% in 2017 — the highest percentage of any brand included in the survey. The study, conducted every three years, demonstrates the importance brand loyalty plays in the purchase of farm equipment. It’s also designed to show the role equipment dealers play in helping producers throughout the equipment buying process and ownership cycle. Jim Walker, Case IH vice president, NAFTA, says innovative equipment engineering and precision farming technology will help make farmers more productive in 2018. “Innovative engineering and precision technology through our Advanced Farming Systems platform are what gives producers an edge. When you see a farm with red equipment, you know it’s a High-Efficiency Farming operation,” Walker said.